Regular readers of this blog already know we’re a bit obsessed with the Oracle of Omaha. With a 19.7% compounded return for shareholders over four decades, Warren Buffett is easily one of the most respected and successful investors of our time. For insiders in the financial industry, the manager and chief investor of Fairfax Financial Holdings Ltd. (TSX:FFH) requires no introduction. Watsa was born in Hyderabad, India and moved to Canada in his early 20’s to study for an MBA. He eventually got a job in an insurance company and convinced his boss to leave the firm and start a new insurance venture with him. Their partnership eventually bought another insurance company called Markel Financial, which was eventually renamed Fairfax Financial Holdings. Over the past three decades, Watsa has managed to grow the book value of this small insurance company by 20% compounded annually. Today, he’s one of the richest men in Canada with an estimated net worth of $1.1 billion. Watsa follows the same model to create wealth as Buffett. The core of his operation is insurance. Several insurance companies held by the firm generate what is known as ‘float’ – a large fund of premiums that can be freely invested by the company. Similar to Berkshire Hathaway, Fairfax applies this float to invest in the stock market can create phenomenal returns over a long period of time. This is essentially professional investing in the best monthly dividend stocks canada with interest-free leverage. Leucadia is a business conglomerate with various holdings. The company offers a 1% dividend yield and makes up nearly 0.6% of Fairfax’s portfolio. This company holds a number of positions in the telecommunications and healthcare sectors, however its biggest holding is an international investment back called Jeffries. 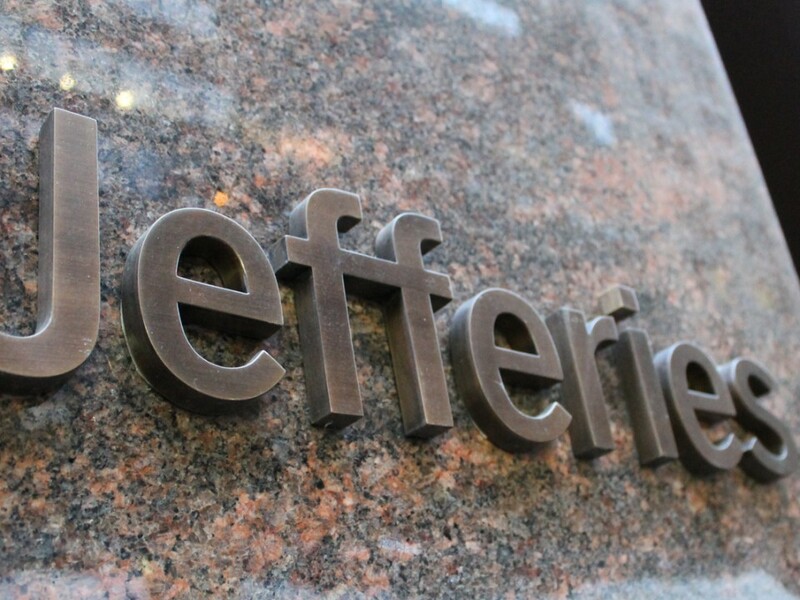 Jeffries offers long-dated debt investments and manages equity investments and banking needs for its clients. Over the past few years the company has managed to further diversify its operations and reduce leverage. This is, by any definition, a safe and growing dividend stock. One of the few companies Prem Watsa shares with Warren Buffett is US Bancorp. 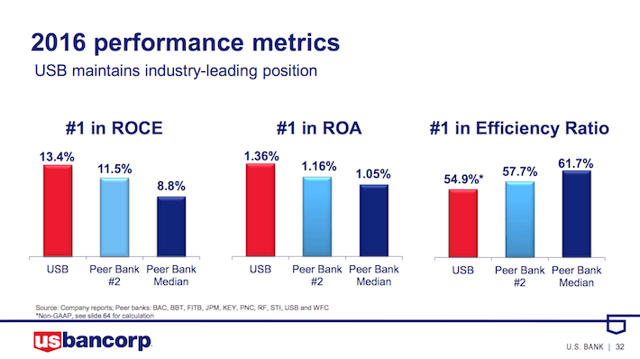 USB makes up 1.8% of his portfolio and offers a 2.1% dividend yield at current prices. The reason this bank holding company could be so popular is that it outranks all its competitors in virtually every measure of a bank’s efficiency. It has better return on capital, better profitability, better payout ratios, and more attractive capital adequacy ratios. While most investors are still vary of banks due to the fallout from the financial crisis, professional investors know US Bancorp is special. It has a better credit rating than many of its biggest competitors, including Wells Fargo and JPMorgan. In fact, the bank’s debt is comparable to large corporations in America such as Disney and Starbucks. It’s probably one of the best monthly dividend stocks canada investor Watsa owns. Johnson & Johnson isn’t just a company both Buffett and Watsa hold dearly, it’s one of the best loved Dividend Aristocrats in America. JNJ, as we’ve discussed previously in our ‘Forever Dividend Stocks’ essay, has a diversified portfolio of some of the most well known consumer brands in the world. It currently offers a 2.7% dividend yield and makes up 1.5% of Watsa’s portfolio. You may not have heard of Kennedy Wilson Holdings or KW, but it is the second largest holding in the Fairfax portfolio after Blackberry. It currently makes up about 21.6% of the whole portfolio and is one of the highest dividend payers in that portfolio. The dividend yield is an impressive 3.4%. 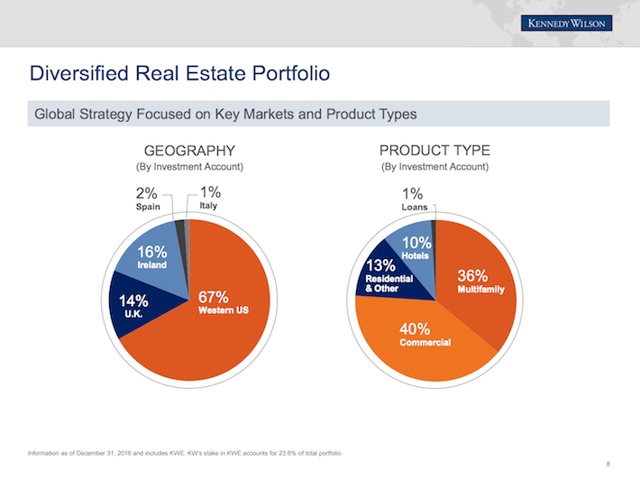 Kennedy Wilson is a real estate company that manages a portfolio that spans the globe. The company is in a unique position of being worth less than its investment carrying value. While the carrying value of its real estate portfolio is $11 billion, its market capitalization is just $2.3 billion. The company operates with a 2x equity leverage multiple and has managed to generate an internal return rate (IRR) of a whopping 30%. 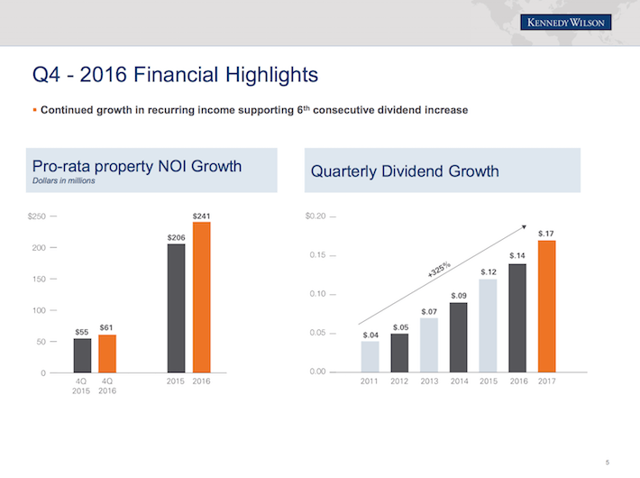 There has been double digit growth in the net operating income and dividends from the company over the past several years. Although this is an international real estate manager, most of its portfolio is made up of commercial and multifamily properties spread across the western United States. Although both Buffett and Watsa own a major chunk of IBM, they have both been cutting their stakes in recent months. Buffett has cut his stake by half since the peak in 2011. Meanwhile, Watsa also reduced his stake in IBM this quarter as the investment thesis changed. Nevertheless, IBM remains one of the largest tech companies in the world and a lucrative dividend payer. Last full year the company generated nearly $80 billion in sales and about $11 billion in net cash flow. It applies economies of scale to create growth in big data, cloud computing, and predictive analysis. However, this is a space with intense competition from equally wealthy opponents such as Apple, Amazon, and Google. Helmerich & Payne is an interesting company that’s had a rough few years as the price of oil declined. The company gets contracts to drill for oil, a market which was substantially hit by the decline in oil exploration over the past few years. Now, the company makes up about 2.3% of Prem Watsa’s portfolio and manages to pay out a 4.5% dividend yield. While the market was collapsing all around it, the company managed to increase the number of operational rigs and deleverage its balance sheet. It now holds more than 28% of the market share and has some of the lowest debt ratios in the industry. In other words, HP is a stable and growing player in a volatile market with a strong balance sheet. South Korean steel company POSCO makes up less than 1% of Watsa’s portfolio. But it offers the highest dividend yield of them all – 11%. POSCO is an odd pick for Watsa and may not be well suited to most retail investors. When you buy the ADR of a foreign stock the dividend yield is subject to taxes. Not to mention the exchange rate makes the final return less predictable. It’s interesting to note that Watsa bought a stake in POSCO just when Buffett bailed on the stock. He sold his entire stake in 2012 after holding it for more than 5 years. Prem Watsa is one of the most fascinating and successful investors of our time. Not only has he managed to generate wealth for his shareholders. But he has managed to do so with a more interesting portfolio of stocks than Warren Buffett. While a good chunk of the portfolio is focused on the best monthly dividend stocks canada has to offer. Most of these holdings are small. His largest holding, Blackberry, has had a rough run and doesn’t even pay a dividend. Watsa isn’t focused on dividends as much as he is on value and a good contrarian bet. His purchases tend to go against the grain of the investment community and he usually comes out on top.